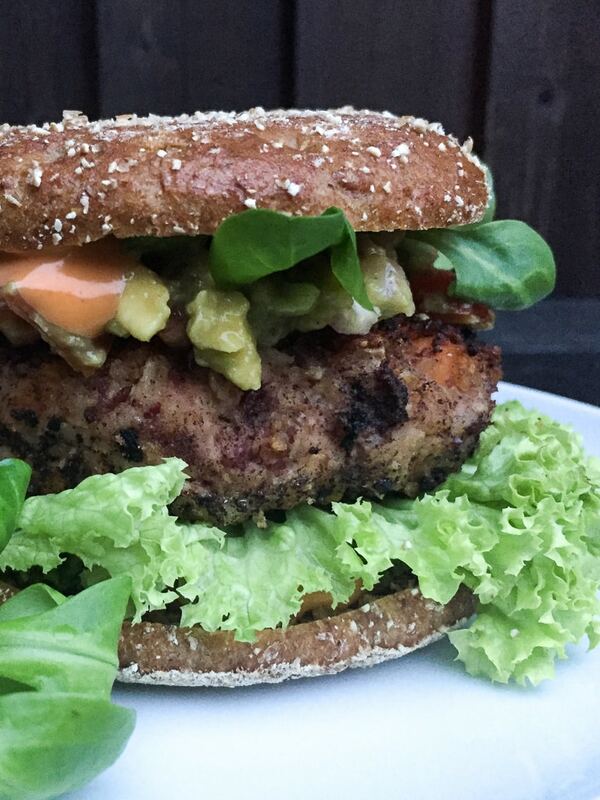 This is the absolutely perfect recipe for vegan burgers… I’ve tried a few and this one became an absolute favourite. You can make a few smaller “meatballs” which to be eaten together with a salad or, in original version, with small flat loaf for hamburger. 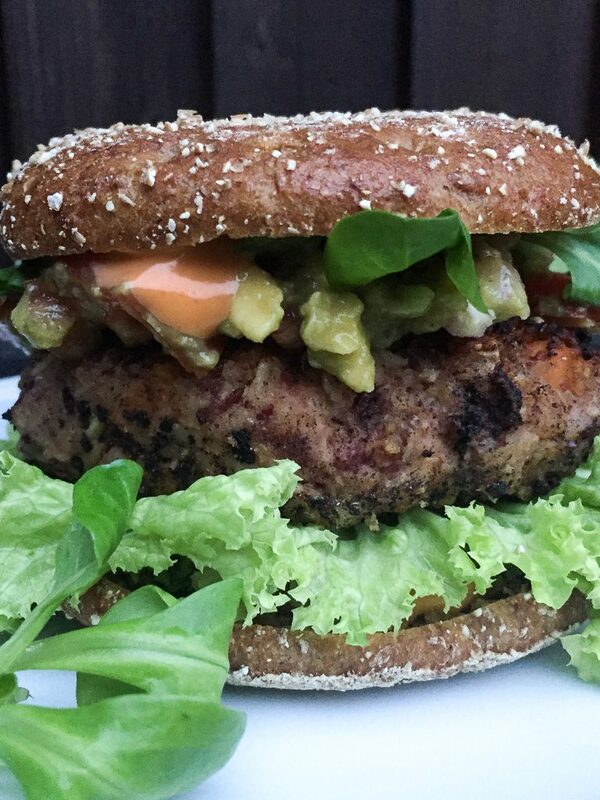 In the recipe I’m describing the way of preparing the burgers themselves and all rest is based on your taste. The version which is in the photo is with lettuce and guacamole. Quick and easy recipe for guacamole you can find online. I do not have a recipe on my blog as there are already so many good recipes out there. Another delicious option is with pickles, cut into strips, and a little mustard. Everyone can garnish depending on his taste and on the available products at home of course. 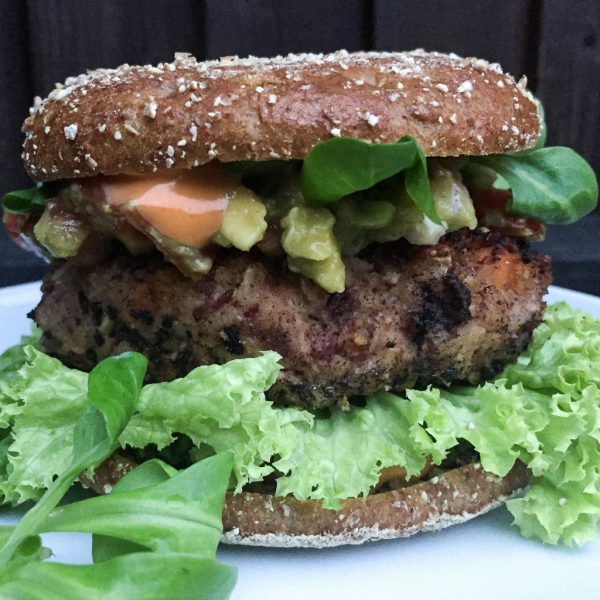 А recipe for uniquely delicious burger which will become favourite to the whole family. Finely chop the onion and cook it in 1 tablespoon of olive oil for about a minute until soft. Put the strained off kidney bean in a large bowl and mash it with a fork or potato press. You can use a mixer as well but you need to be careful not to make it look like puree because the burgers will be tearing apart while being fried. Then you add the oatmeal, the onion (without the oil), the dry spices and the parsley and coriander, which is finely chopped beforehand. You leave the mixture chill for 5-10 minutes. Form with with hands 4 big meatballs. Make them kind of flat, so they don’t remain raw in the middle. In a nonstick frying pan you heat up 2 tablespoons of olive oil and fry till burgers turning braun-golden color. Garnish the burgers according to your taste with salad, pickles, guacamole.